The Wall Street Journal reported Tuesday evening that the deal between PokerStars and Colony Capital LLC concerning the online poker giant’s possible purchase of the Atlantic Club Casino Hotel has expired without a contract between the two parties. Alexandra Berzon — who covers Las Vegas for the WSJ and has reported extensively on online poker in the U.S. — filed the report that the deal had fallen through, citing “several people familiar with the matter” as support for the story. As Berzon explains, the proposed deal between PokerStars and Colony Capital LLC, the private international investment firm that includes the Atlantic Club among its real estate holdings, had required Stars — or, rather, its operator, the Rational Group — first to have received from the New Jersey Division of Gaming Enforcement a Preliminary Casino Authorization to operate a brick-and-mortar casino in AC before a deal could be finalized. However the deadline for such a temporary license to have been obtained — last Friday — has come and gone, and thus the agreement between Colony Capital LLC and PokerStars has expired. Berzon goes on to explain that “New Jersey regulators have informed the company that they now may take as long as until August to make their decision, making the potential deal to purchase the casino uncertain, according to several people familiar with the matter,” adding further that a spokesman from PokerStars declined to comment on the story. 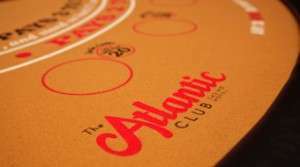 Stories of PokerStars’ interest in the Atlantic Club Casino Hotel began to appear in December 2012 amid speculation that New Jersey might pass an online gambling bill that would limit the granting of online licenses to AC brick-and-mortar casinos. At the time reports suggested a possible purchase price for the struggling property to be less than $50 million, with estimates since then reducing the price tag much further. The Rational Group filed its application for a Preliminary Casino Authorization to acquire the Atlantic Club in mid-January. Then in late February, New Jersey finally passed such a bill, a development that quickly intensified speculation about Stars’ interest in the Atlantic Club and the site’s possible return to the U.S.
March then saw the American Gaming Association step in to file an angry brief with the NJ Division of Gaming Enforcement opposing the Rational Group’s petition for an interim license, a move understood by many as a shot fired on behalf of Caesars Entertainment and other casino interests represented by the AGA. On the heels of that filing came a Forbes report regarding Caesars having earlier approached PokerStars about the purchase of some of its assets, including the Rio All-Suite Hotel and Casino in Las Vegas. The Rational Group then responded to the AGA’s brief with one of their own outlining reasons why the New Jersey Division of Gaming Enforcement should reject the AGA’s brief. Expect further analysis of the significance of Tuesday’s news regarding PokerStars and the Atlantic Club here at Flushdraw.